When cargo is heavy and durable, the most efficient way to unload it is to simply dump it. 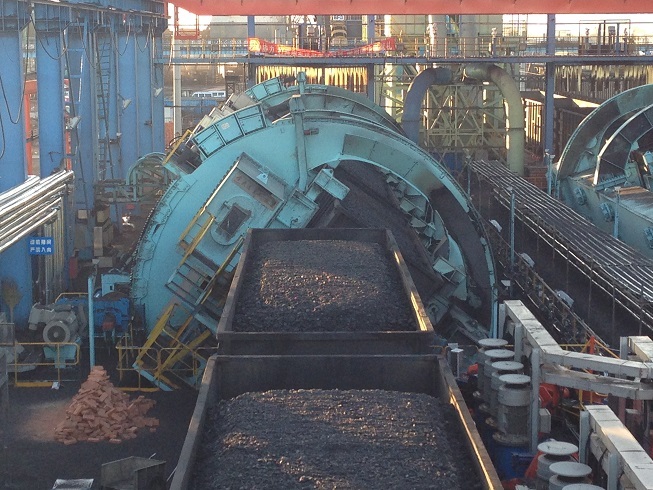 Train dumper systems are used to unload a variety of heavy raw materials for a range of industries, including coal. Dumping 300 tons of coal might look simple, but the process actually requires a great deal of precision. 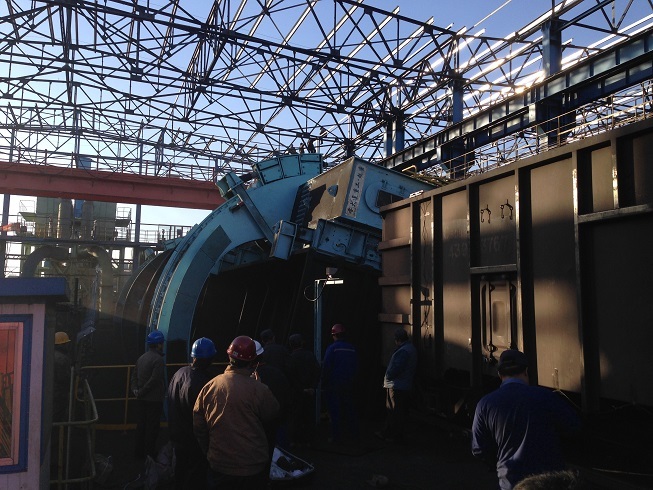 Recently, the Qingdao Sifang Rolling Stock Research Institute, a Chinese rail service provider, adopted a new method to measure and calibrate a large scale dumper system manufactured by the Dalian Heavy Group. 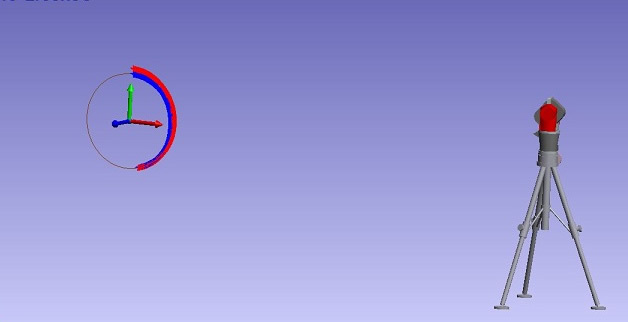 To complete the measurement and analysis, the Institute relied on SpatialAnalyzer (SA) software with an API Radian Laser Tracker and Active Target. When cargo is heavy and durable, the most efficient way to unload it is to simply dump it. Train dumper systems are used to unload a variety of heavy raw materials for a range of industries, including coal. 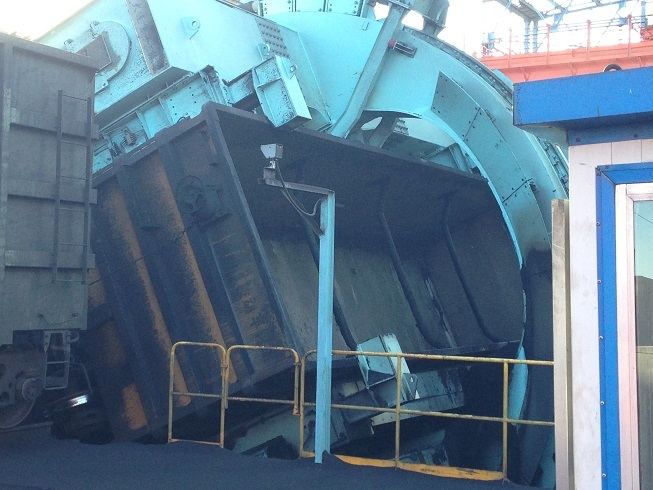 Dumping 300 tons of coal might look simple, but the process actually requires a great deal of precision. It is essential that the rail car stays in place when it is flipped over to dump the coal and is then returned to its original position on the track. 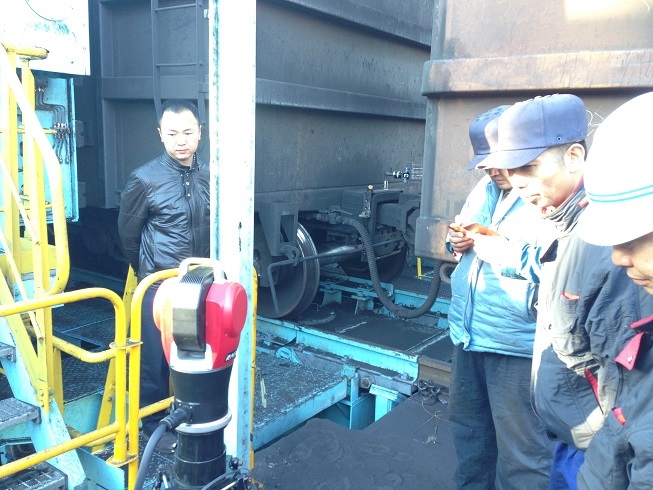 Recently, the Qingdao Sifang Rolling Stock Research Institute, a Chinese rail service provider, adopted a new method to measure and calibrate a large scale dumper system manufactured by the Dalian Heavy Group. To complete the measurement and analysis, the Institute relied on SpatialAnalyzer (SA) software with an API Radian Laser Tracker and Active Target. An automated positioning traction system moves the train car into the interior of the dumping machine. Hydraulic fixtures are connected to the train car. The dumping machine moves along a rotary to flip the train car over in order to dump its cargo, and then return the train car to its original position. the connecting bearings between the carriages can be damaged, typically from fracturing. To prevent these potential problems, it is essential that rotary dumper systems control the movement of the tracks as much as possible to reduce the risk of damage to the rail cars, the connecting bearings between the cars, and the tracks. Prior to adopting the SA and API Radian solution, calibration of the dumper system was accomplished by fixing tension meters on every position of the carriages in order to obtain the adjustment value. This method; however, proved to be unreliable and inefficient. A more accurate method was needed; one that could also withstand humidity variations, winter weather conditions (which is often below freezing), and constant coal dust in the air. To measure the movement of the dumper’s track, Sifang engineers now use an API Radian with an Active Target attached to the dumper. While the tracker captures the movement of the track in real time, SA displays the motion of the dumper and the amount of displacement throughout the process. SA also allows the engineers to analyze the data in SA software to figure out the value of adjustment. Attaining the correction value allows the engineers to appropriately adjust the gear mechanism under the dumper to reduce movement. In SA, the engineers are able to easily view the dumper’s track movements. 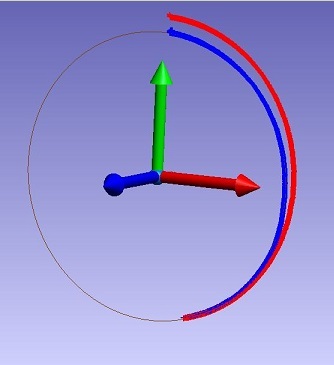 SA shows a blue line to represent the moving track’s position when the train carriage is full of coal, and a red line to show where it moves once the carriage is empty. By comparing the two sets of data in SA, the engineers can easily obtain the adjustment value and then adjust the dumper’s gear mechanism. Each scan takes one to two minutes, and they typically scan each dumper system on a weekly basis. This process is performed at multiple sites and has proved effective at preventing damage to the dumper system and the rail cars.